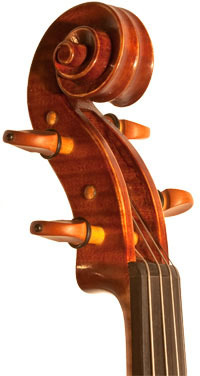 Barbara's Viola is a masterfully crafted instrument with superb varnishing. Piccinotti was born in Brescia in 1975. Barbara grew up in a family that held a strong tradition for furniture restoration. From a young age she learned the skill of carving wood from her father, brother and uncle. Her musical interest began when she was 7 and when she was 14 years old she decided to enroll at the International School of Violin Maker "Antonio Stradivari" in Cremona where she learned the traditional way of violin making. She graduated in 1993 under the guidance of Maestro Giorgio Scolari. 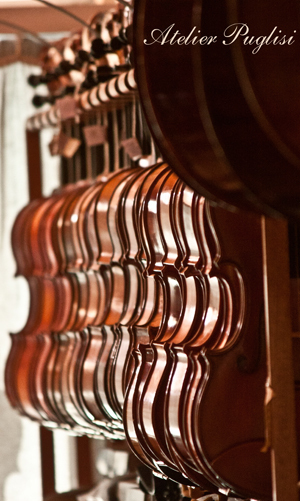 After graduating, she spent many years of training in Stefano Trabucchi workshop where she learned the technique of violin making and varnishing of violins, violas and cellos and where she also improved her technique and developed a personal style. In 1999 she decided to open her own workshop in "via PECORARI n°5" in Cremona where she began her business in Italy and overseas. Her instruments are greatly celebrated from Japan to U.S. as well as Europe for the personal style and excellent quality of sound. 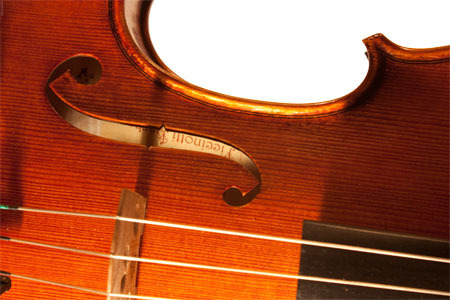 Barbara Piccinotti makes violins, violas and cellos that follow classical Cremonese and personal model with very high quality varnish, in modern and antique look, and particular attention to the choice of wood and set-up. In 2000 she competed at the 9th Triennale International Competition of violin making in Cremona. Sorry, this instrument is no longer available.